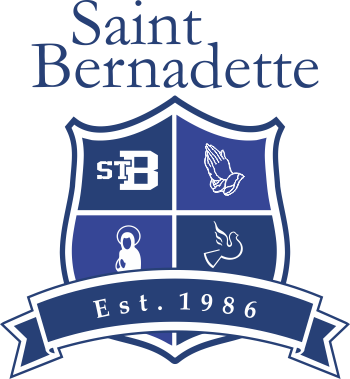 St. Bernadette School will be having their yearly attendance audit next month. Students who have been absent must have an absent note on file with the days & reason of absenteeism along with the parent signature. Failure in not having an absent note for the days absence not accompanied by a note could result in families having to pay a portion of the provincial funding. So if you are aware of any absent note(s) that has not been handed in to the office, please send it in at your earliest convenience. The Inside Scoop is an informal way for the families to communicate with other families. It is a newsletter that goes out on the 3rd Wednesday of every month. If you need services, have an item to sell, giving away items, etc. this is the place to advertise. The Inside Scoop is prepared by Anne-Marie Palma and sent out through the School. If you need to place an advertisement in the Inside Scoop you can e-mail her at amfaron@yahoo.com. Please e-mail her no later than the second Friday of each month. The PEC Nominating Committee is now soliciting nominations for the election to be held following the Masses on and in anticipation of May 31, 2015 to fill two of the three upcoming vacancies on the PEC for the two-year term running from July 1, 2015 to June 30, 2017. St. Bernadette parishioners who are eligible to vote in the election are also eligible to stand for election (with some exceptions). If you are interested in standing for election to the PEC, please obtain a nomination package from the school office. The nomination deadline is 3:00 p.m. on May 20, 2015. Get a Bonus for Pre-ordering by May 20. The kids are now buzzing with excitement as FunFair 2015 approaches! Get your food pre-orders in to avoid lines and save money. BONUS: Get 1 game ticket with your pre-order. Deadline to submit forms is Wednesday, May 20. Many volunteers are needed for set-up, during, and after the event. To volunteer, please contact Camille Evangelista — cskalaw@hotmail.com.